Colors can make your home feel new and looking fresh. Here are a few tips on how to find the right color palette for you. Decorate small spaces with cool, light colors. Shades of purple are unique, yet classic. Paint big spaces in a cozy, warm, confident colors. 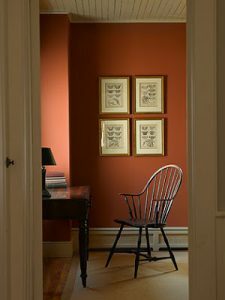 Sienna orange adds a great pop of warmth and comfort to any room. Light neutral colors make walls seem to fade away into the distance, making rooms feel more spacious. 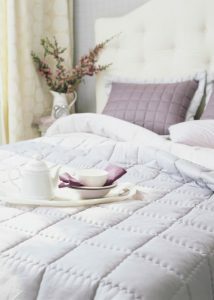 A warm grey is crisp and bright and makes any room look beautiful. Dark colors on walls adds balance and interest to the room. 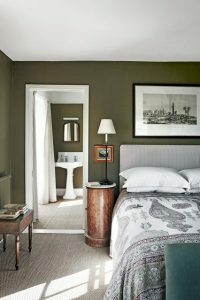 Greens, like an olive green, goes well with most color palettes. If painting bold colors on your walls is too much of a leap, pick neutral colors that you won’t grow tired off. 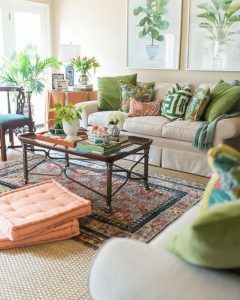 You can always scatter accent colors around the room to make an impact, like bold toss pillows, fun art pieces, or even an area rug. 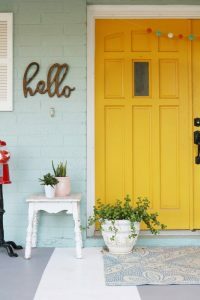 Bright vibrant paint can be used in small spaces, like hallways, entries, and guest bathrooms to bring forth a welcoming and energetic atmosphere. Yellow is back and is creating positive energy in homes. Need more design tips? Come visit us at Rockridge Furniture & Design! Man Cave Essentials	Is There Still Hope for Our Furniture…and Our Cat?